There is a small town called Seize in Helvetia. 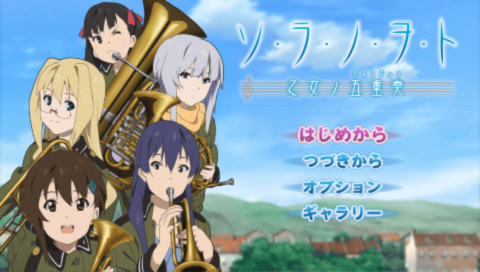 Kanata is a girl who is inspired to join the military after witnessing a rendition of Amazing Grace by a mysterious trumpeter of the Helvetian Army. Becoming a bugler, she is assigned to the 1121st Platoon stationed in the town of Seize, where she is taken into the care of 2nd Lt. Filicia Heideman, M/Sgt. Rio Kazumiya and the rest of the 1121st Platoon.